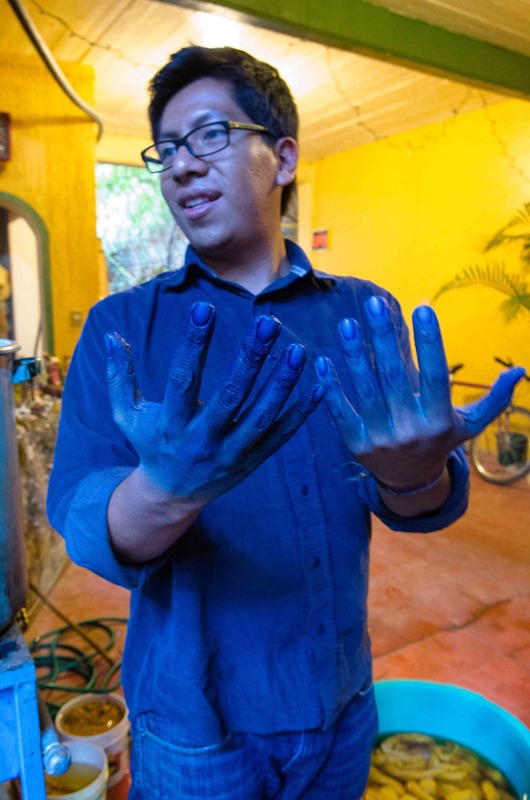 Travel and learn with Oaxaca Cultural Navigator LLC in collaboration with Penland School of Crafts, one of the foremost centers for art and craft education in the United States. 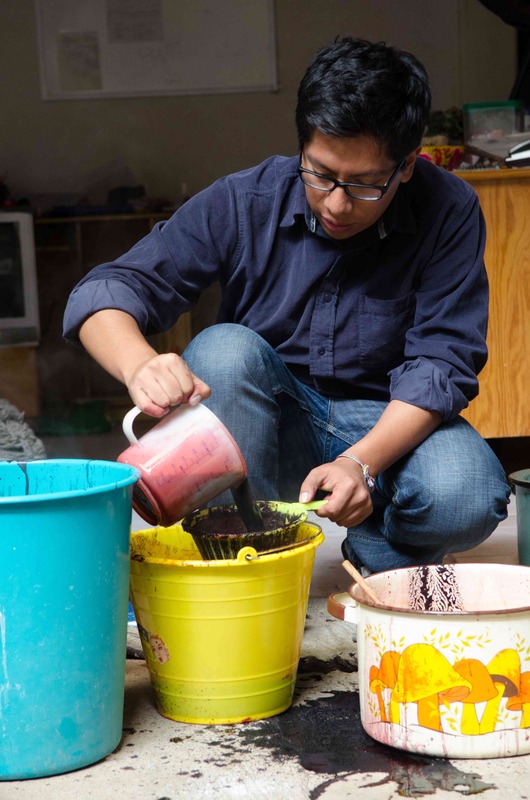 This is an unparalleled opportunity to study folk art, craft and contemporary art of Oaxaca, with an option to extend your time to explore San Cristobal de Las Casas, Chiapas and surrounding Maya villages. 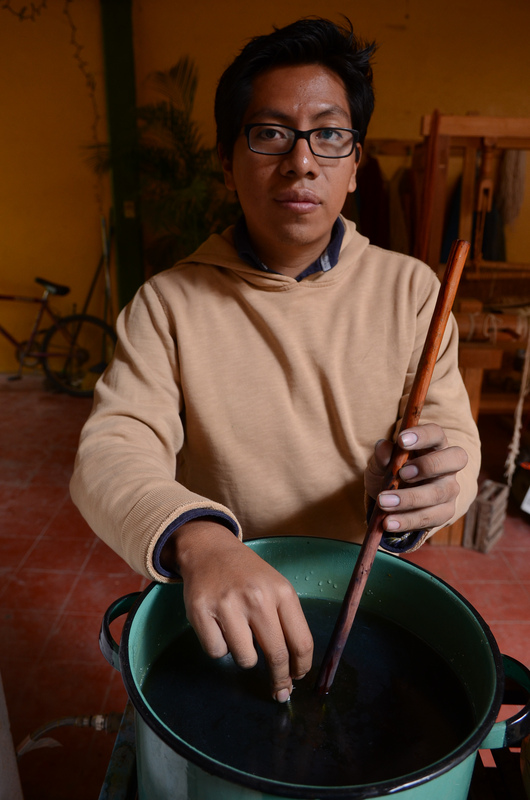 An in-depth indigenous Mexico educational experience. February 12-19, 2015: 7 nights and 8 days of cultural immersion and discovery! Archeology, food, contemporary and folk art, wood carving, pottery, weaving and Carnival celebrations. The best of the best! Starting at $3,285 double occupancy, includes lodging, most meals and transportation, and a tax-deductible $500 gift to Penland School of Crafts. Single occupancy option: $3,695. Depart Oaxaca on February 19, travel overnight from Oaxaca to San Cristobal de Las Casas on a luxury bus with reclining seats. 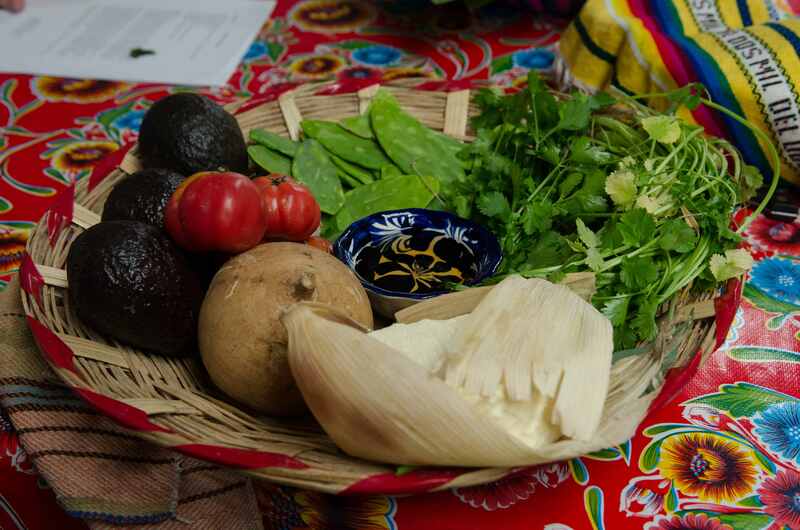 Arrive in Chiapas in time for breakfast, textile talk and orientation walk! 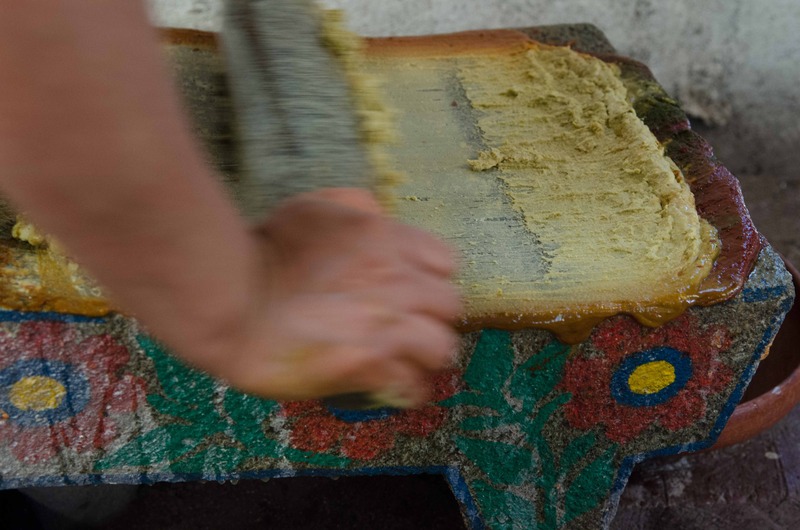 Add-on Chiapas–February 20-25, 2015: 5 nights and 5 full days to explore the land of the Maya — archeology, textiles, traditional medicine, precious stones and jewelry making traditions. We are based in San Cristobal de Las Casas at the crossroads of the Maya world, an international mountain town of outstanding beauty. Our host is luxurious boutique LaJoya Hotel. We offer single or double occupancy in king bed Gold-level luxe, $2,395. For single or double occupancy in one or two beds, we offer Bronze-level semi-luxe, $1,845 at a nearby hotel. Contact Norma Hawthorne by email to receive your registration form or get your questions answered. 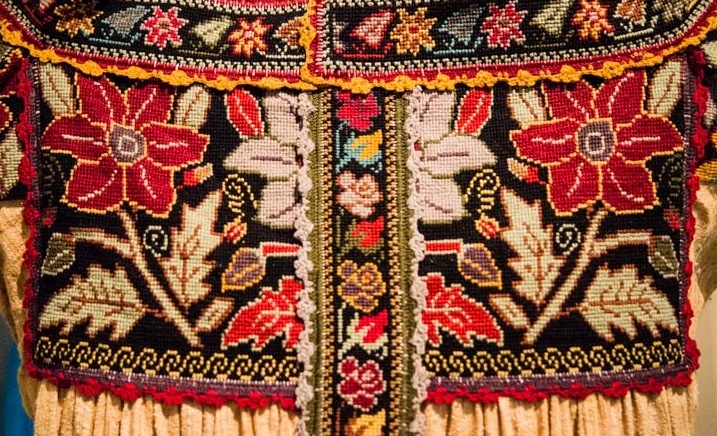 Penland School of Crafts is located in the Blue Ridge Mountains of North Carolina, and was founded on the principles and values of preserving and promulgating the rich folk art traditions of the local culture. 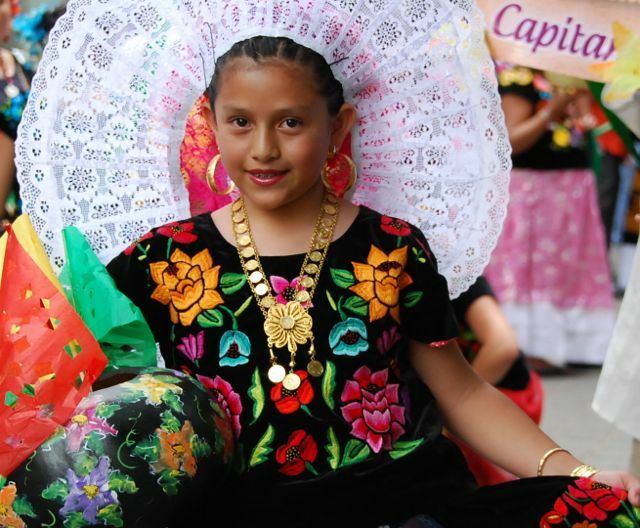 In keeping with these roots, we offer you a week-long study tour to explore the indigenous world of Oaxaca, Mexico, with a six-day add-on option to Chiapas, Mexico. Here art and craft have flourished for centuries. Oaxaca and Chiapas mountains are scattered with remote indigenous villages where amazing art is created in the tradition of the ancestors. 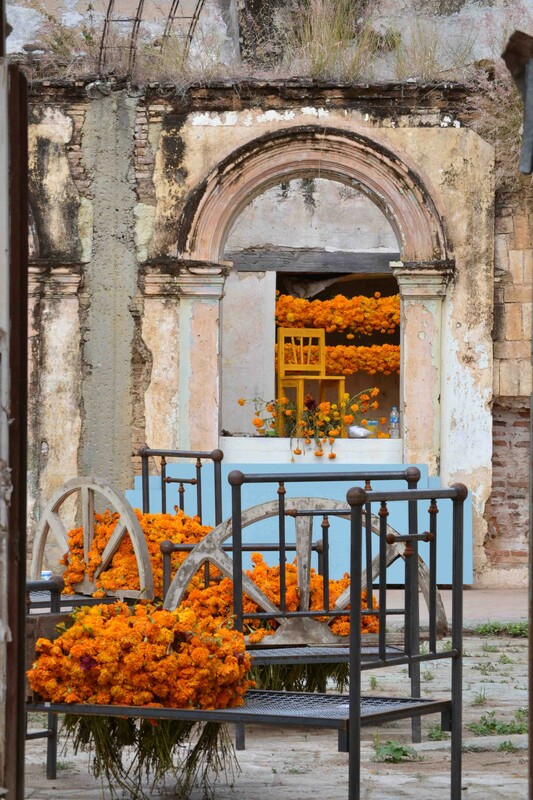 Every piece has a back-story and is a testimony to the creativity and beauty that is Mexico today. We invite you to become a part of this exciting, personalized program. Day 1: Thursday, February 12. 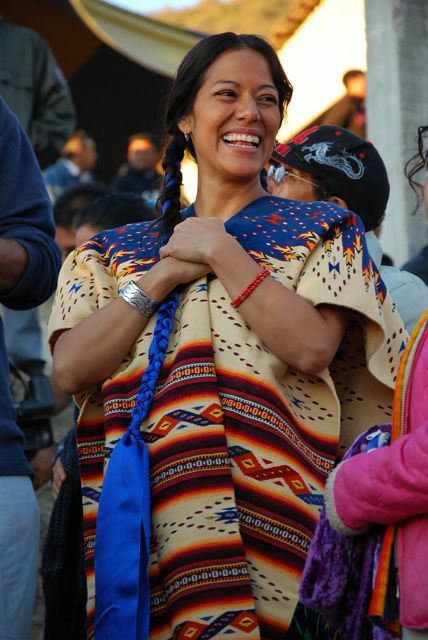 Participants will travel independently from their home city and arrive at the Oaxaca, Mexico, international airport. If you come directly from Houston, you will clear customs and immigration in Oaxaca. If you connect through Mexico City, you will clear customs and immigration there before boarding your connecting flight to Oaxaca. We will send you a complete travel guide one month before the program date. 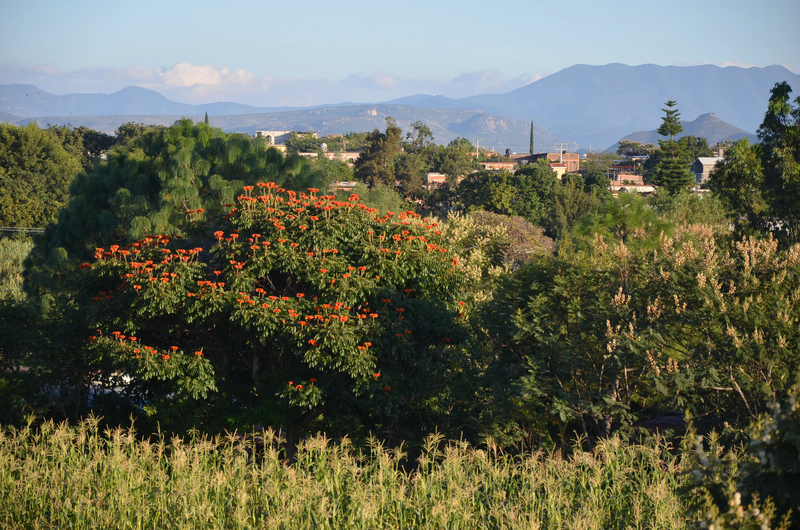 When you give us your flight arrival information, we will arrange private transportation to meet you at the airport and bring you a short distance to our Oaxaca city B&B. If you arrive in time, meet us in the lobby at 8:00 p.m. for a light supper, if you wish. Dinner on your own. Overnight in Oaxaca. $3,285 per person double occupancy. $3,685 for a single supplement. Includes $500 per person tax-deductible gift to Penland School of Crafts. Day 1: Thursday, February 19. Luxury overnight bus from Oaxaca to San Cristobal de Las Casas (B) or travel independently to Chiapas and arrive in San Cristobal de Las Casas on your own. Day 7: Wednesday, February 25: After breakfast, transfer from San Cristobal de Las Casas to Tuxtla Gutierrez to board your flights back to your home country. Ready to Register? Contact Norma Hawthorne. About Norma Hawthorne. 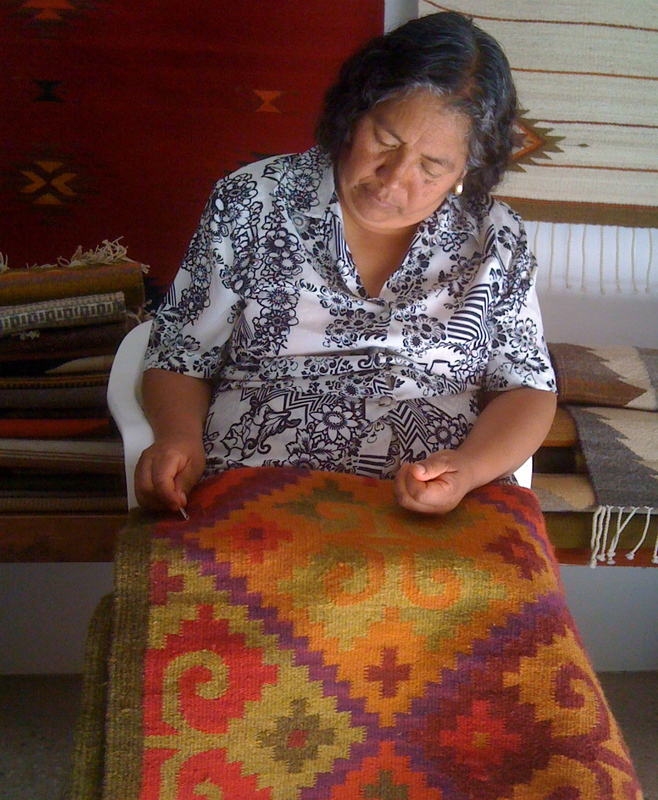 Norma started Oaxaca Cultural Navigator LLC in 2006 and began offering weaving and natural dyeing workshops in the Zapotec village of Teotitlan del Valle, Oaxaca, where she now lives part of the year. Soon after, she expanded program offerings to include women’s creating writing, yoga, photography, and other forms of textile and fiber arts workshops. In 2011, she retired from The University of North Carolina at Chapel Hill where she raised $23 million for the School of Nursing, and directed the School’s marketing and communications. Before that, she had a 25-year career in higher education continuing education and marketing at Indiana University, The University of Virginia, and The George Washington University. Norma holds the B.A. in history from California State University at Northridge and the M.S. from The University of Notre Dame’s Mendoza College of Business. 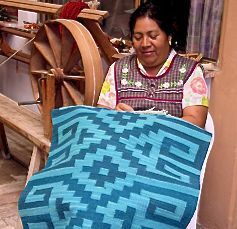 A lover of indigenous textiles, Norma started weaving with naturally dyed wool in San Francisco, collected Amish Folk Art textiles which she recently donated to the Indiana State Museum, owned and operated a gourmet cookware shop and cooking school, and fell in love with Oaxaca arts and artisans when she first visited there in 2005. See Norma’s resume. Lodging/Accommodations. 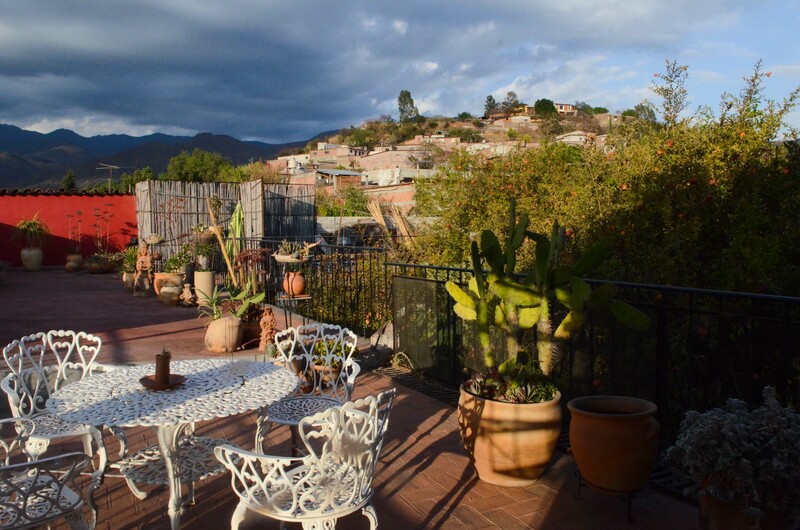 In Oaxaca, we have selected highly rated, elegant, upscale accommodations for you where we will spend five nights at Casa Las Bugambilias B&B. 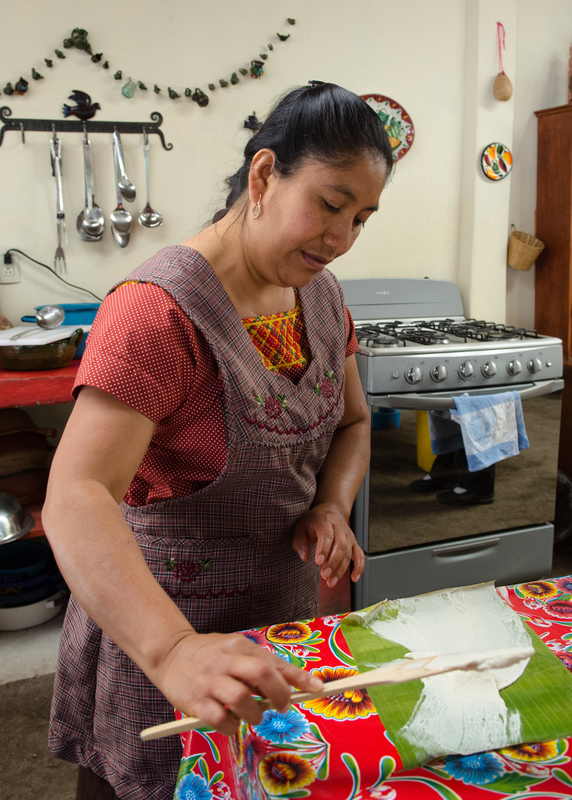 We will also spend two nights at family-owned and operated guest house in Teotitlan del Valle to give you a flavor of humble village life. 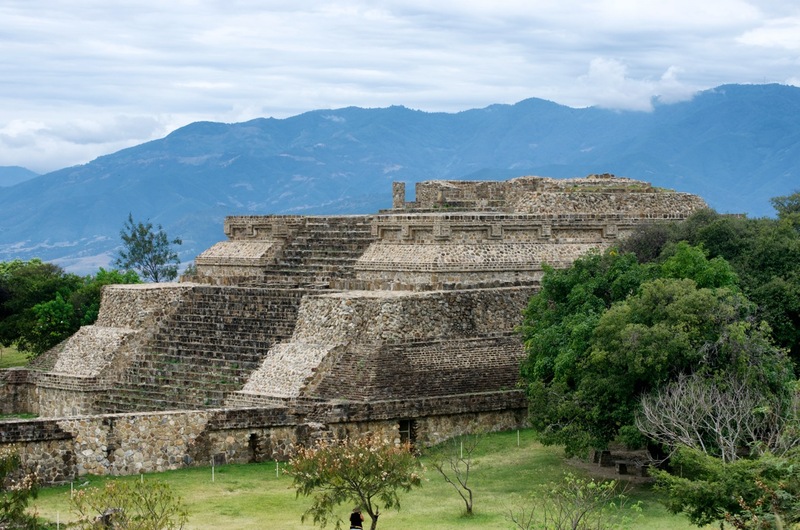 Oaxaca Study Tour Cost: The basic cost for the trip is $3,285. USD. This includes seven nights lodging shared occupancy with private bath, six breakfasts, four lunches, three dinners, transportation to/from airport and activities as noted in the itinerary, site entry fees, all instruction, and a $500 tax-deductible contribution to Penland School of Crafts. OAX 1: Shared double room with private bath; $3,285. OAX 2: Single Supplement, private room with private bath; $3,685. Chiapas Study Tour Cost: Three options available. Choose your comfort level. In Chiapas our luxury boutique La Joya Hotel, will host there. Here there are five single suites with king-size bed accommodations for Platinum and Gold-level travelers. Double, shared rooms are in a nearby upscale colonial-style hotel. The cost does NOT include airfare and related taxes, tips/gratuities, travel insurance, liquor/alcoholic beverages, and some meals as specified in the itinerary. Please make your check payable to Norma Hawthorne, OCN-LLC and mail to Norma Hawthorne, Oaxaca Cultural Navigator LLC, 9316 Perry Road, Graham, NC 27253. 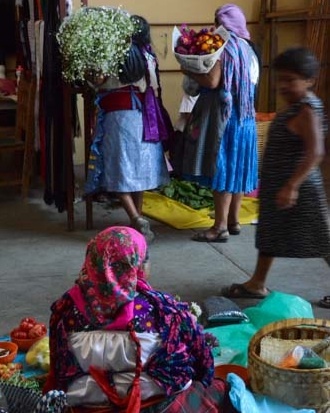 Your $500 tax-deductible contribution (per person, applicable only for the Oaxaca portion of the trip) will be made and mailed directly to Penland School of Crafts, Attention: Joan Glynn, Director of Development. Reservations and Cancellations. Please understand that we make lodging and transportation arrangements months in advance of the program. Our hosts often require deposits or payments in full to guarantee reservations. If cancellation is necessary, please notify us in writing by email. After November 15, 2014, no refunds are possible and payment in full is required. We will make every possible effort to fill your reserved space or you may send a substitute. If you cancel on or before November 15, we will refund 50% of your deposit. We require that you take out trip cancellation, baggage, and $50,000 mimimum emergency medical evacuation insurance before you begin your trip, since unforeseen circumstances are possible. Ready to Register? Tell Norma at normahawthorne@mac.com Have Questions? Ask Norma at normahawthorne@mac.com. 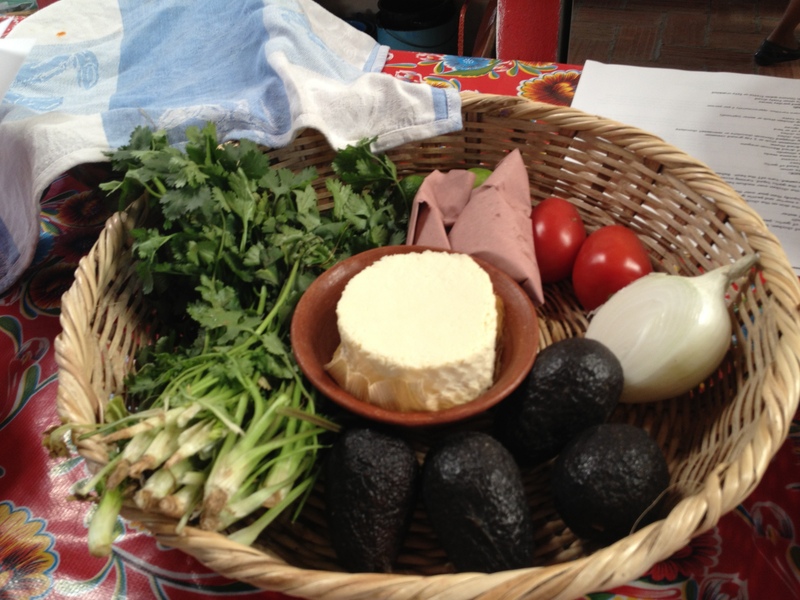 This program is produced by Norma Hawthorne, Oaxaca Cultural Navigator LLC in cooperation with Penland School of Crafts. We reserve the right to alter the itinerary and make substitutions as necessary. 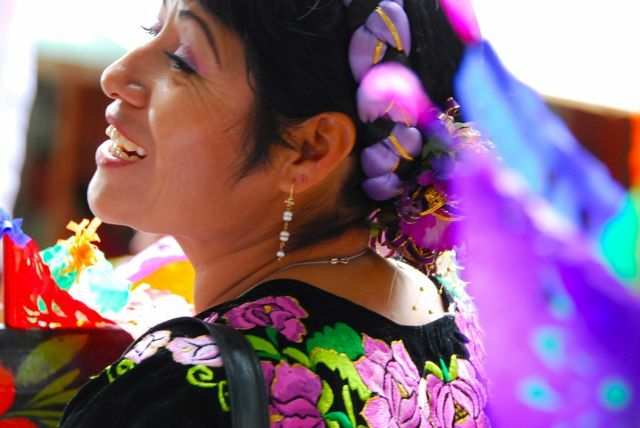 A Word About How to Get There Oaxaca Cultural Navigator LLC, based in North Carolina, U.S.A., has offered arts workshops and cultural immersion experiences in Oaxaca, Mexico, since 2006. Many participants often travel independently to reach Oaxaca on a direct flight from the gateway city of Houston, Texas, on United Airlines. Other major U.S. airlines connect to AeroMexico in Mexico City, which offers several flights a day to Oaxaca (OAX). Delta operates a Code Share with AeroMexico. The international airport at Oaxaca is new, safe and clean, as is the Mexico City airport. Our trusted Oaxaca airport pick-up service will personally greet you as you depart from baggage claim. 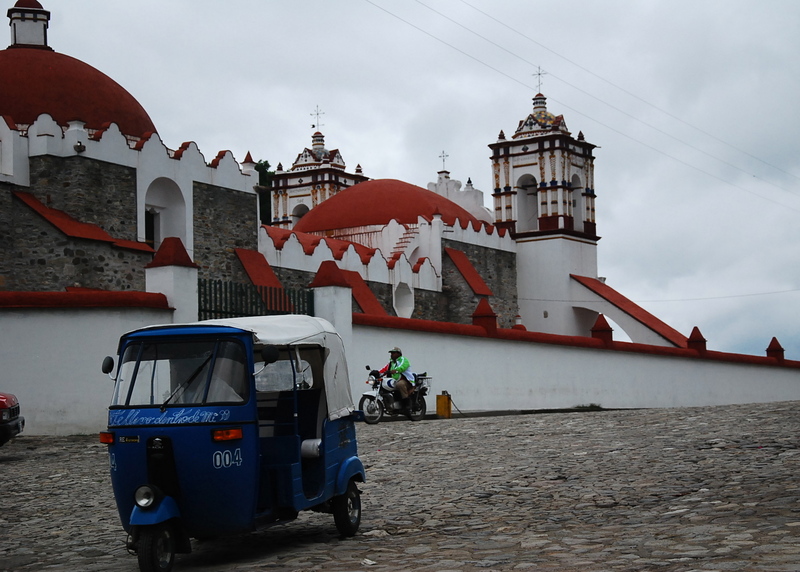 For travel directly to San Cristobal de Las Casas, the town is served by Aeromexico flying into/out of Tuxtla Gutierrez (TGZ), or you can take an overnight bus from Oaxaca. Airport pick-ups and returns are included in your registration fee. Note: Tips may be given to your local guides, instructors, and service providers throughout the trip. The recommended tip is 50 pesos per day for each provider per person. Be sure to collect your belongings from your room and check the Safety Deposit Box. Have your Passport, Mexico Exit Visa, and Plane Tickets ready! You must have at least six months remaining on a valid U.S. passport to enter Mexico. Please Note: This is a working itinerary, is subject to change and may be modified as we confirm final details for the trip. Be assured that any changes made will only enhance the program and add to your total experience. Thank you for your understanding! 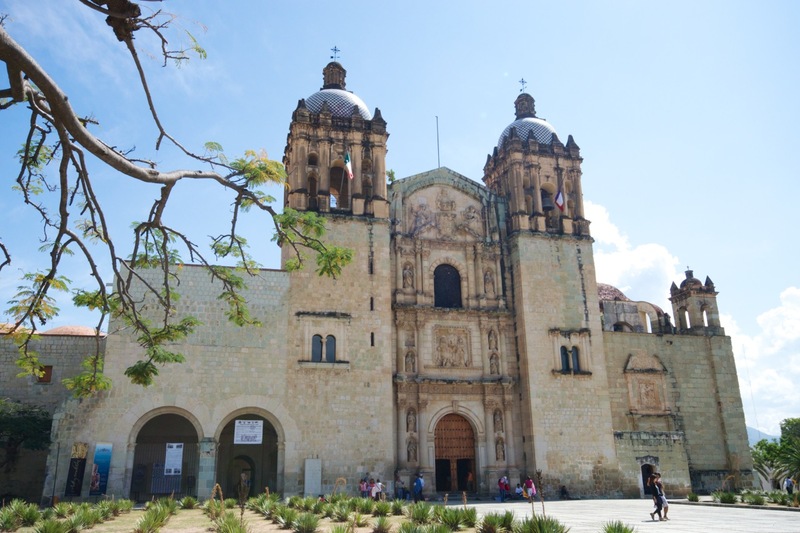 This entry was posted in Oaxaca Mexico art and culture, Oaxaca travel, Photography, Travel & Tourism, Workshops and Retreats and tagged archeology, art, Chiapas, Mexico, Oaxaca, Penland School of Crafts, study, tour, travel, workshop. Bookmark the permalink. Another fabulous trip… with the unusual great food!